If you’ve ever had a bout of constipation, you know how uncomfortable it feels. It’s as if your whole body is off-kilter. Now imagine that as part of your daily existence. Some people have chronic constipation and must deal with the bloating and discomfort on a regular basis. But good news for anyone with a constipation problem has arrived. New research suggests that acupuncture using a mild electric current can bring some relief to those with severe constipation. The study, which was conducted at the China Academy of Chinese Medical Sciences in Beijing, found that electroacupuncture may be a safe, effective form of treatment for individuals with chronic constipation.1 The subjects were 1,075 adults who had all been diagnosed with constipation for a minimum of three months. Definitions of chronic constipation vary depending on patient symptoms and complaints, but in general it may be considered as two or fewer complete bowel movements per week, often accompanied by hardened stools, straining to defecate, and a persistent feeling of incomplete emptying. All of the participants received 28 treatment sessions over the course of eight weeks. But they were randomly assigned to one of two groups. One group had electroacupuncture performed at traditional acupoints, while the other received a sham treatment involving different needles inserted at incorrect body points. Yet by the end of the trial period, both groups saw improvement in their regularity, which is not necessarily surprising when you consider the medically recognized power of the placebo effect. However, at the eight-week mark—the conclusion of the treatments—those who received real acupuncture were having an average of 1.8 more bowel movements per week than they had experienced prior to the experiment VS just 0.9 more bowel movements each week for the sham electroacupuncture group. In other words, although there was still a placebo effect, it was only half as effective as real acupuncture. And not only did the group undergoing acupuncture double their bowel movements compared to the sham group, the results continued to improve beyond the end of the treatment sessions. After 12 weeks, the electroacupuncture group had further increased to approximately two additional bowel movements per week compared to where they were at the beginning of the study. In contrast, those in the sham group experienced no improvement beyond what they had at the eight-week point. Another follow-up took place after 20 weeks. At that time, nearly 38 percent of those who received electroacupuncture were having at least three bowel movements each week. Among those in the fake treatment group, only 14 percent were having three weekly bowel movements. Of course, three bowel movements a week doesn’t sound all that healthy to most of us. As Jon Barron has pointed out, you should have one major bowel movement for every major meal you had the day before. But for those with severe constipation, it is major progress. Still, it would have been more helpful if the research was designed to track the volunteers for a longer time span, to determine just how long the benefits remain in place and whether they can be improved even more if electroacupuncture sessions are resumed. Keep in mind, too, that electroacupuncture certainly isn’t the only option for combatting constipation. Many doctors will recommend chemical laxatives and a variety of prescription medications, which can result in side effects including headaches, nausea, diarrhea, stomach cramping, vomiting, and dependency. Instead, consider safe, natural alternatives that will promote greater regularity. Drinking sufficient quantities of water every day can soften stools to make them easier to pass. A diet rich in fiber aids the digestive system as well, by bulking up your stools enough to promote more frequent evacuation. Exercise is essential too, as it increases the pace at which food moves through the gastrointestinal tract. There are also plenty of natural laxatives that can be very effective for reducing constipation. Consider a formula made from ingredients such as aloe ferox, cascara sagrada, and senna. All of these herbs have traditional uses in curbing constipation. 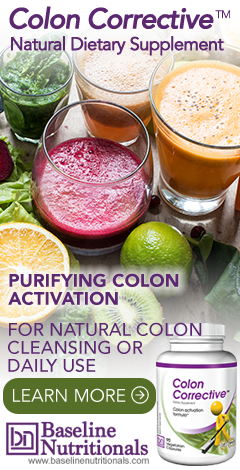 And colon detoxing can not only improve your constipation, but also improve your overall health. For much more detailed information on the need for and benefits of a colon detox, check out Jon Barron’s Death Begins in the Colon. 1. Liu, Zhishun; et al. "Acupuncture for Chronic Severe Functional Constipation: A Randomized, Controlled Trial." Annals of Internal Medicine. 13 September 2016. Accessed 21 September 2016. http://annals.org/article.aspx?articleid=2552074.